Ever wonder how Paul Powell lit-up that meat he “smelled a’cookin’”? Or how Rod Blagojevich and Dawn Clark Netsch ended up shootin’ stick…with Christie Hefner? The free online exhibit Bicentennial-by-Button: 200 Years of Trailblazers, Rascals & Felons www.illinoisbicentennial.org may answer those and other burning questions about Illinois history as we conclude our Bicentennial bash. An array of 1,600 Illinois campaign items joined by essays by writer Claude Walker, Bicentennial-by-Button is comprised of 31 online “galleries” which help tell our State’s colorful saga through the stories of trailblazing candidates, pols who got busted, weird moments and a Gallery of Oddities. 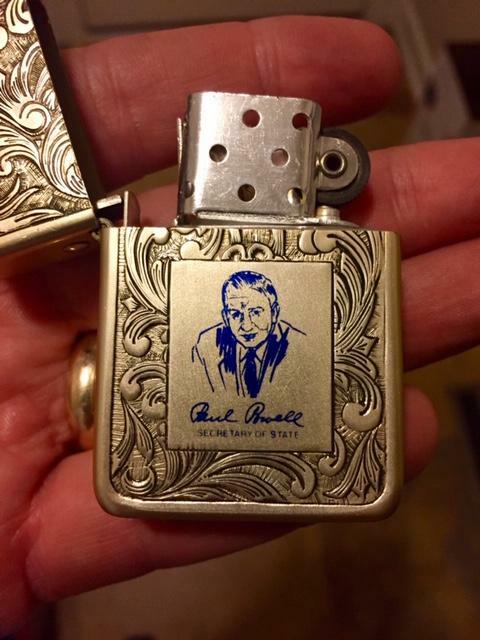 In Gallery #22 (“BUSTED!”), for example, visitors can see a cigarette lighter from legendarily corrupt Illinois Secretary of State Paul Powell - courtesy of collector Ernie Fuhr - which may be how Powell fired up all that meat he famously “smelled a’cookin’”. He reportedly stored the cigarette lighters in shoeboxes. Gallery #2 (our “Other Mt. 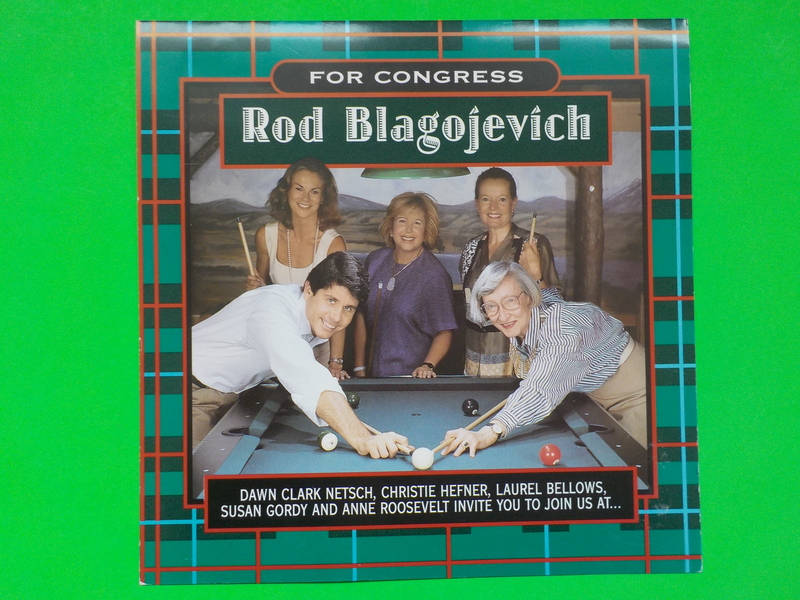 Rushmore”) features a ‘96 fundraising invite for U.S. House candidate Blagojevich. He and progressive icon Netsch (who campaigned for Governor in ’94 as a “straight shooter” and really could shoot a mean stick) are lining up - inexplicably - on the same cue ball. The “Other Mt. Rushmore” profiles Illinois Guvs who made it to the Big House, not the White House: Kerner, Walker, Ryan, Blago. The exhibit salutes trailblazing Illinois women, LGBT, African-American, Latinx and Asian Americans. Unique moments or eras are spotlighted (“Adlai & the LaRouchies”, “Council Wars”, “Daley Dynasty”). Meet Illinois “Titans of Congress” and “Candidates for POTUS”. The “Land of Linkin’ Rooms” show our linkage through sports, events, road-trips. See oddities: a “Put it in the Bag” Paul Powell Birthday Fund cash-sack (courtesy of Chicago Ald. 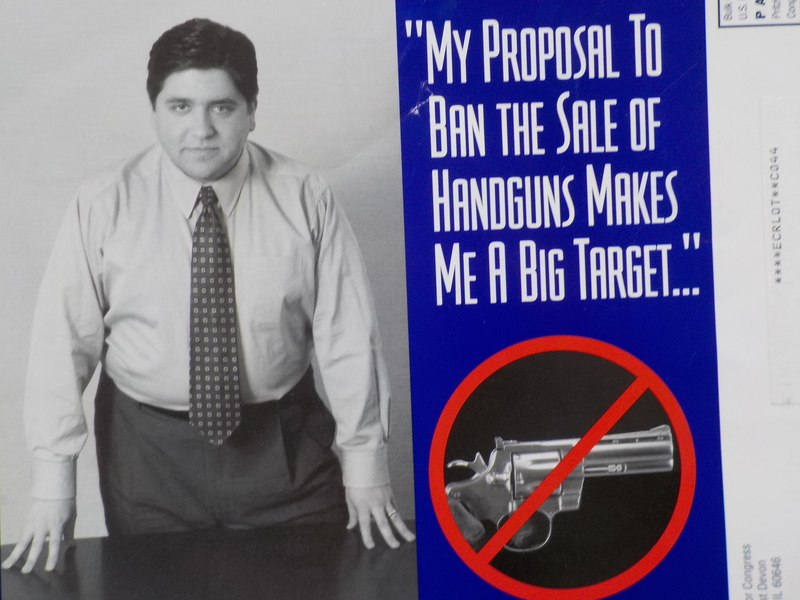 Joe Moore), freaky Rosty-farian flyer, pronunciation sponge (“Bla-Goya-Vich”) and JB Pritzker campaign poster…from 1998 (Gallery #23 - “Pols on Parade”). In addition to Walker’s personal button collection, another 100 button images are courtesy of the Busy Beaver Museum (https://www.buttonmuseum.org/ ), including a gallery (#31) feting the ‘33 Century of Progress Expo. “Bicentennial-by-Button” is not affiliated with nor sanctioned by official Illinois Bicentennial, which began on August 26 (Constitution Day) and runs until December 3 (Statehood Day). “Just one Illinoisan’s way of celebrating a milestone birthday while cleaning out his old button collection,” Walker said, adding that being “unaffiliated” enables the Virtual Curator to engage in unfettered hyperbole, snark and retribution. “Happy Bicentennial, Illinois! Let’s Play Two (Hundred)”, said Walker, a member of the Society of Midland Authors and Chicago-Area Political Items Collectors, and veteran of 80 Illinois campaigns and causes. He’s authored Drone Dogs - a 2015 novella set in a future Chicago - and other Illinois-based novels (New Madrid Quake Chronicles, Eastland Water Spirits, Earth Baseball Tourney).